Tim performs on benefit concerts, festivals, workshops, corporate events and television programs. 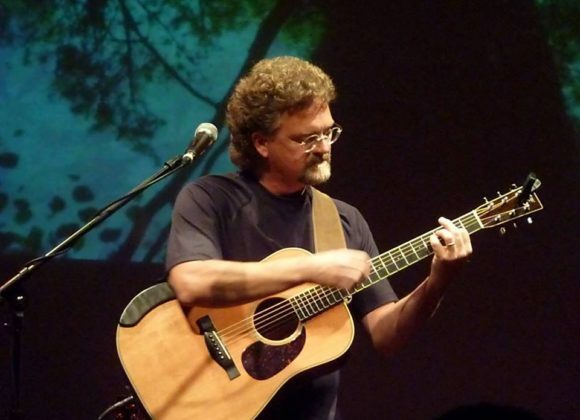 Tim has performed live on many radio programs as a featured artist including Echoes and Kid’s Corner, both popular syndicated shows heard on hundreds of Public Radio stations nationwide. Tim performs as a solo artist and also has shared the stage with such notable artists as Les Paul, George Benson, Jean Luc Ponty, Rick Wakeman, Alex DeGrassi, Jake Shimabukuru, California Guitar Trio, John Sebastian and many more … In addition to his solo performances Tim offers several different concert programs such as StringSongs, a trio which includes Bass Player Magazine’s Player of the Year Michael Manring and Grammy Award winner Pat Robinson on keyboards. Opening for Tim is our own musical magician, Bill Metts, who paints stories with both words and fantastic fingerpicking. Previous Event LinkSongwriters at the Plaza, Stanley, Popravak, DahlNext Event LinkSquirrel Hillbillies! ACMA member Ralph Leesburg opens. © 2017 Americana Community Music Association, Inc.